Good afternoon everyone! Today I have my third entry in the GinaK Designs Illustrator challenge. 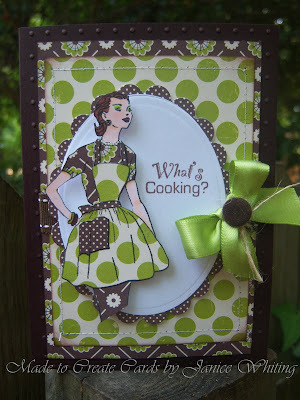 I used Asela Hopkin's "Sew Pretty" stamp set, which I just adore!!! I love the vintage feel to this set so much! Thanks for looking and drop a comment to let me know what you think! :) Wish me luck!